A step-by-step guide to digital painting in Photoshop that covers the fundamental aspects in an accessible and comprehensive fashion. 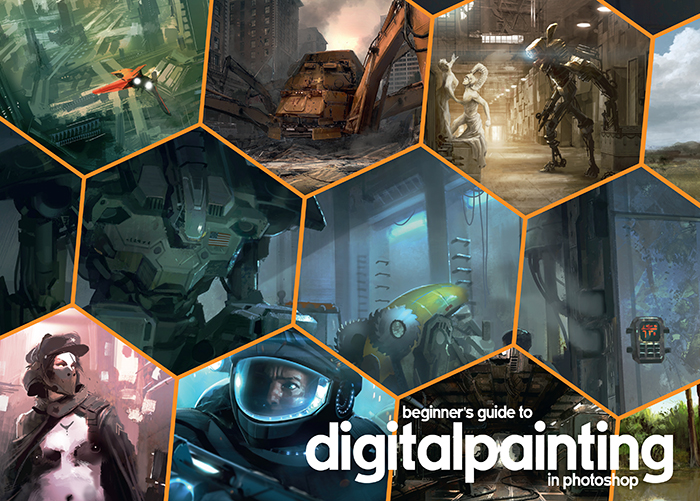 Beginner’s Guide to Digital Painting in Photoshopis a brand new series dedicated to providing a truly comprehensive guide to the basics of digital painting in this versatile program. The step-by-step tutorials within this book don’t just describe techniques, but actively demonstrate how these techniques can be applied to an artwork. Industry veterans including Nykolai Aleksander and Richard Tilbury share the benefits of their years of experience in a clear and methodical fashion. They examine the various basic Photoshop tools on offer, and also look at fundamental art theory, including classic topics such as composition, story-telling, portraying emotion, lighting and color.